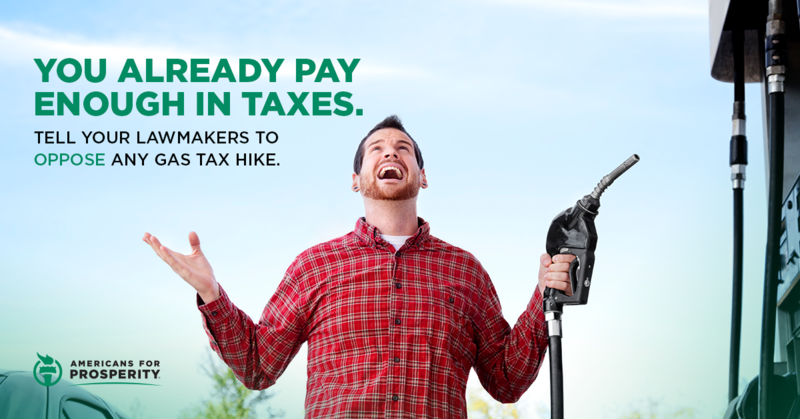 ARLINGTON, Va. – Today, a coalition of free-market organizations led by Americans for Prosperity (AFP) issued a letter to Congress urging members to focus on comprehensive reforms to prioritize, streamline, and innovate the financing and regulation of our nation’s infrastructure projects rather than considering any increases to the federal gas tax. These (infrastructure) reforms can be achieved by focusing on three core outcomes: 1)spending smarter on projects of true national priority, 2) reforming outdated and costly regulations, and 3) protecting Americans from new or increased tax burdens. The coalition letter is part of AFP and Freedom Partners sustained work to oppose any efforts to raise the federal gas tax. It follows a letter sent to the White House Friday urging the administration to pursue efficient spending policies on targeted infrastructure improvements and comes on the heels of a six-figure campaign launched by the organizations last week advocating solutions for improving America’s infrastructure without imposing new burdens on consumers through a 25-cent per gallon gas tax hike. Coinciding with the launch of the campaign, the groups released an updated state-by-state analysis of the real-life consequences that such a tax increase would have on people across the country. Read the new analysis here. 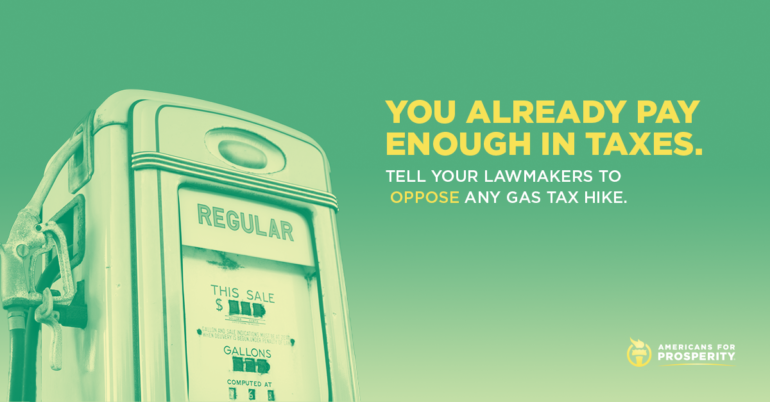 AFP also launched digital ads across 20 states and in 30 congressional districts (click here for sample ad), encouraging lawmakers of the Senate Finance Committee, Senate Environment and Public Works Committee, House Ways and Means Committee, and House Transportation and Infrastructure Committee to oppose any efforts to increase the gas tax and instead prioritize key reforms that will improve our nation’s infrastructure. To learn more about AFP’s responsible solutions for infrastructure spending click here.